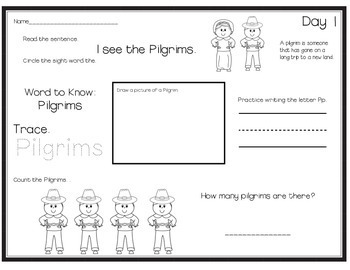 This packet contains 18 printables for each day of school in November. 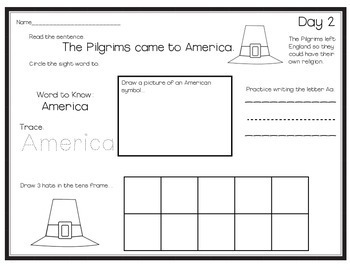 Each printable contains a short, easy sentence about early American History (Pilgrims and Native Americans), a language arts focus (vocabulary word and letter writing), and a math focus activity. 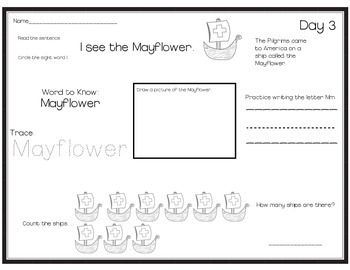 Each social studies sentence builds on the previous to tell the story of the first Thanksgiving. 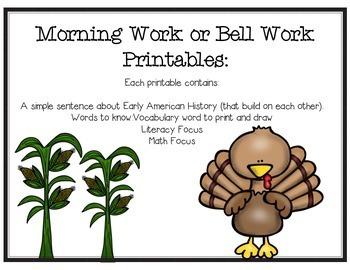 Perfect bell work or morning work to do as students are arriving/dismissing for the day. Also, a great way to squeeze in social studies on hectic days!